As great as yoga is for building up social media credibility, a simple, regular practice has substantial, longer-lasting benefits that can positively affect your professional life. And you don’t even need to perfect standing on your head to see improvements. A few years ago, Harvard University researchers wanted to test the benefits of mindfulness practices, so they put together an eight-week program to find out. The study participants practiced mindful yoga sequences, which consisted of gentle stretches and slow movements, often coordinated with the breath. On days they didn’t do yoga, they did guide body scans or meditated. On average, the participants spent 27 minutes every day on the mindfulness exercises. Here’s what the researchers found. MRI scans of the participants after the study period showed an increase in grey matter density in the hippocampus. This is the part of the brain that’s important for learning and memory and is associated with self- awareness, compassion, and introspection. All qualities needed to be a great business person and leader. The other significant finding was a decrease of grey matter in the amygdala, the part of the brain that assesses whether there’s a threat. It’s basically the first step of the body’s stress response. An overactive amygdala is associated with chronic stress and anxiety, and in everyday life, this can translate to overreacting to the smallest of events. The decreased size of the amygdala, Harvard researchers found, was associated with lower levels of stress. There have been plenty of other studies that have shown the brain benefits of yoga, too. A recent study published in the Journal of Alzheimer’s Disease showed that yoga is more effective than brain training exercises to help diminish cognitive decline. One half of the study group practised a form of yoga called Kundalini, which focuses on both meditation and movement, for one hour a week over a 12-week period. They also did 15-minutes of meditation at home every day. The other half did one hour of mental exercises per week, plus 15-minutes of brain training exercises at home every day. The study authors said they were “surprised” by the results. The yoga participants showed improved memory skills and mood, and a better ability to focus and multitask. Twenty minutes of hatha yoga is better for your brain than 20 minutes of aerobic exercise. That’s what a study published in the Journal of Physical Activity & Health found. The researchers discovered that those who practiced yoga were significantly faster and more accurate at completing working memory tasks than those who jogged for the same amount of time. The original meaning of hatha yoga is a broad term used to describe any physical yoga, but in most classes in Australia, it’s associated with a more static (that is, with no flowing movements between postures), gentle class. In the study, the participants did poses, such as tree, triangle, downward-facing dog, easy camel, and deep breathing in lotus. If you want to receive the brain benefits of yoga, science shows the minimum regular commit you’ll need to make is eight weeks. 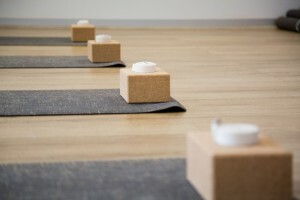 As most of the studies we talked about here show, try doing a yoga class http://www.pivotme.com.au/#MovementSpace once a week, supplemented with a short at-home meditation practice every day. Headspace https://www.headspace.com/headspace-meditation-app – is one of the most popular apps for learning meditation. Keep a journal or write down a few notes so you can keep track of any progress. Let us know how you go.